We are one of the very well acknowledged manufacturers and suppliers of India, engaged in offering a wide ambit of Natural Herb Spices. Our range of Herbal Spices include Kala Zeera, Jumbo Faran, Choro, Turmeric Powder, Chilly Powder, Ginger, Red Chilly, Coriander Powder, Coriander and the likes. We being a pioneer in our domain, grow and cultivated these herbs in a highly advanced and hygienic manner. In addition to this, we offer our product line at industry leading price. Our offered product line is known for features like easily affordable, excellent material quality, healthy and beneficial, fresh and pure, no adulteration, hygienically packed and the likes. 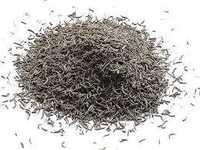 We offer you a wide array of natural herb spices here on our portal. Whether you are searching for herbal spices such as Jumbo Faran, Choro, Turmeric Powder, Chilly Powder, Kala Zeera, Red Chilly or Coriander Powder, Ginger, Coriander and many more, you offer you the best of it. Furthermore, we give you the guarantee of these products being 100% pure and are grown in hygienic environment. Also, you can also our product prices being low. 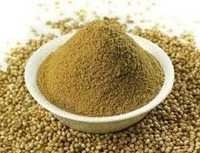 It makes one of the leading herbal spices manufacturer and supplier in India.